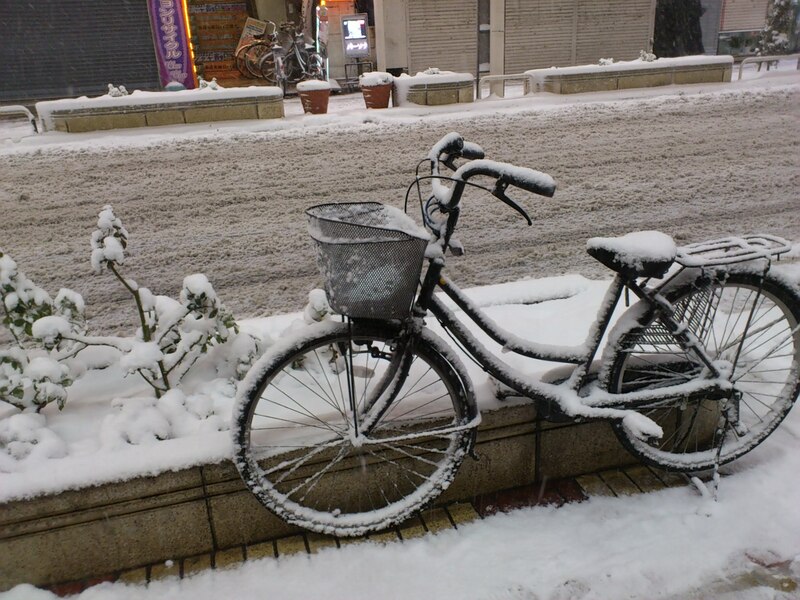 Last Saturday (2014 February 8th), as forecast, a heavy snowstorm hit Tokyo! 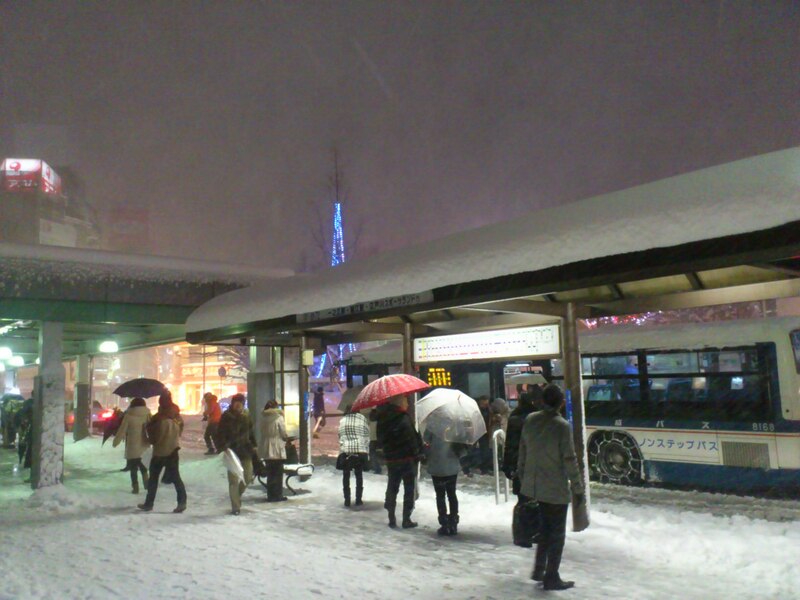 It was the biggest snowstorm to hit the Tokyo area since 1998. I remember that ’98 snowstorm! I had tickets to a KISS-Fest in Yokohama the next day. 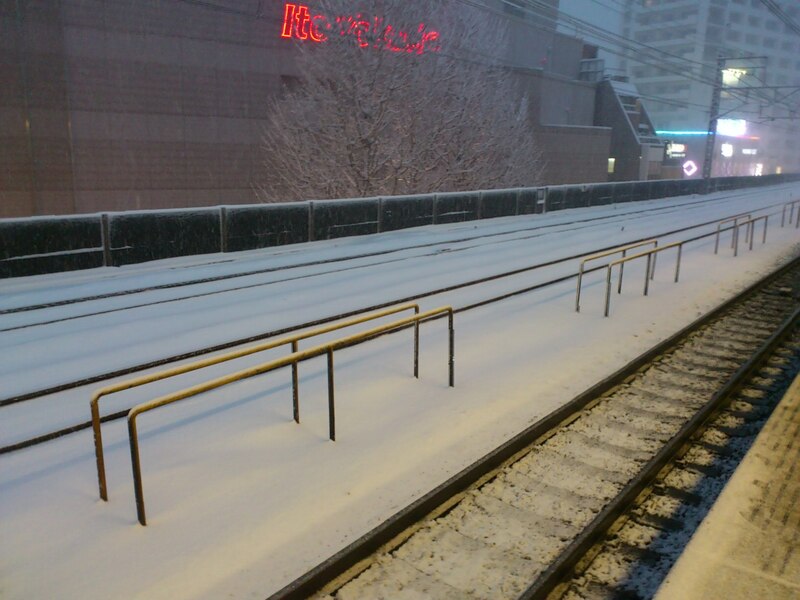 It was difficult walking in the deep snow to the venue from the the train station! Last Saturday’s storm was just as bad! 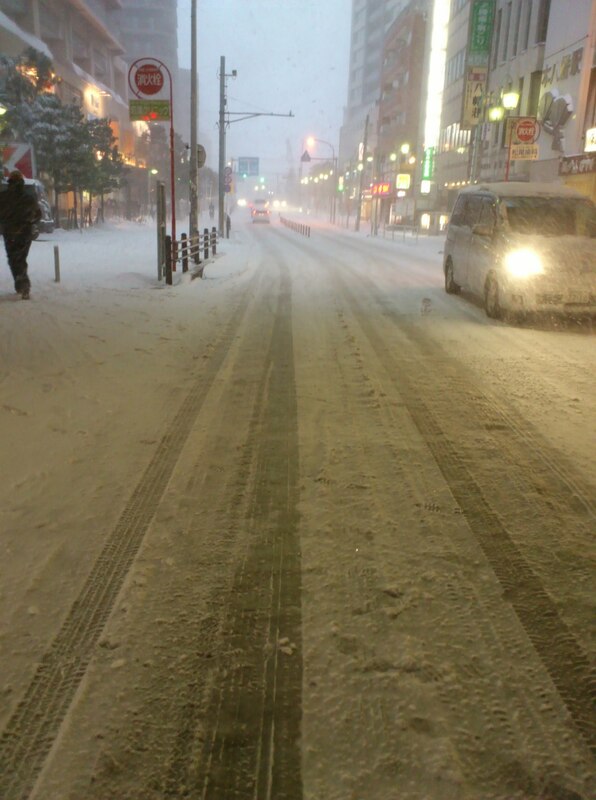 Strong wind and 27cm (11″) of snow covered Tokyo. 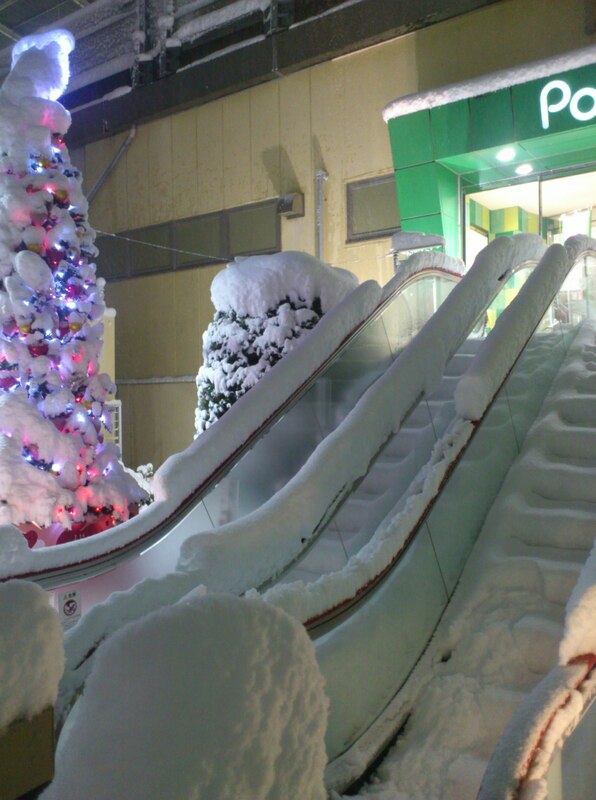 I grew up in Florida so my only experience with snow is in Japan. 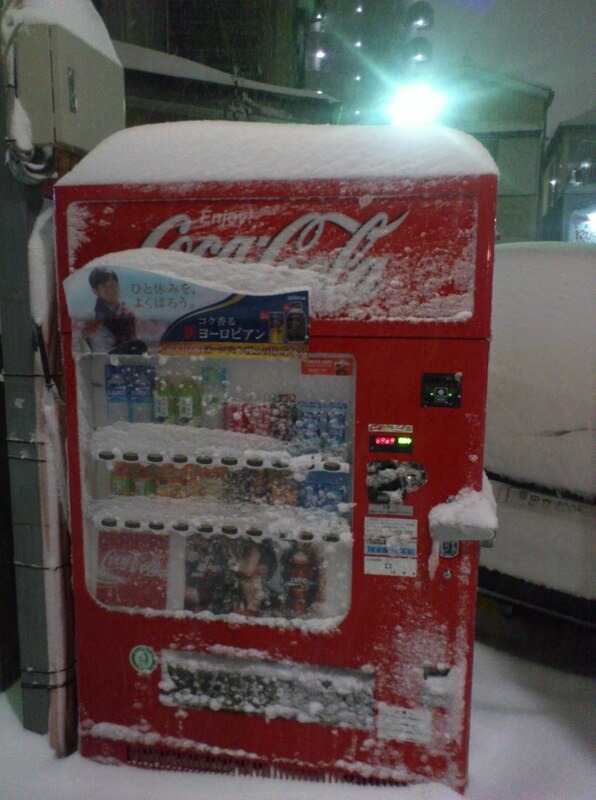 I’ve been to really cold places in the wintertime a few times…Hokkaido, Niigata, and Nagano in Japan, and New York in America. But those were only for short trips. 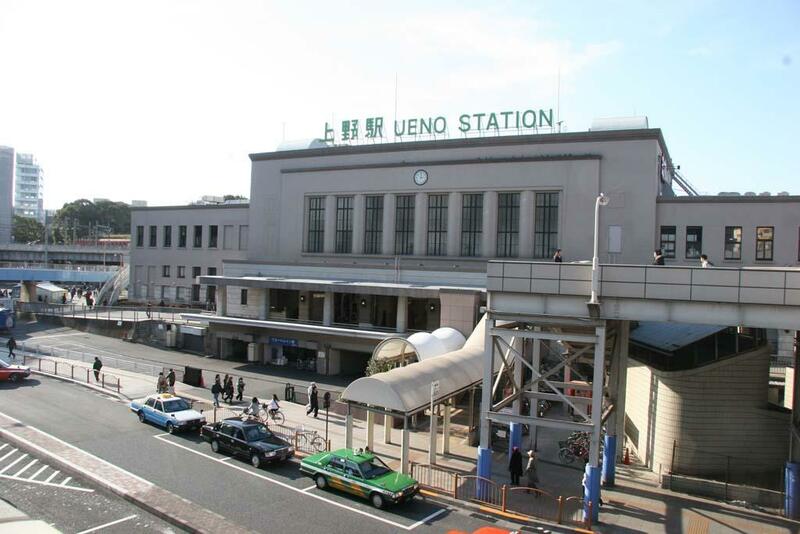 I’ve lived my whole adult life in Tokyo…so I’m used to Tokyo’s weather more than any other place. 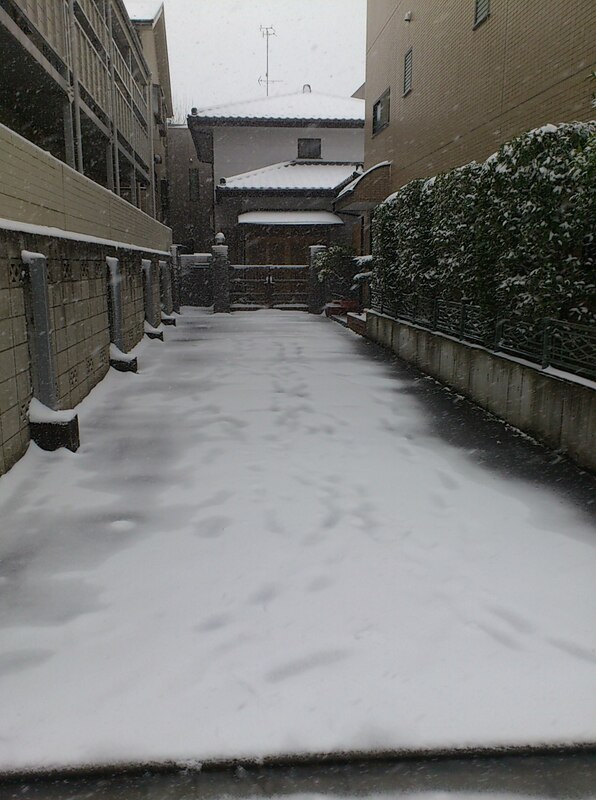 It normally snows once or twice every winter in Tokyo…but not very much. Snowstorms like last weekend’s are, thankfully, very rare here. Another typhoon is headed for 本州 (mainland Japan). It’s forecast to hit the 関東地方 (Tokyo area) tonight and tomorrow (Tuesday, 2013 October 15th – Wednesday, October 16th). 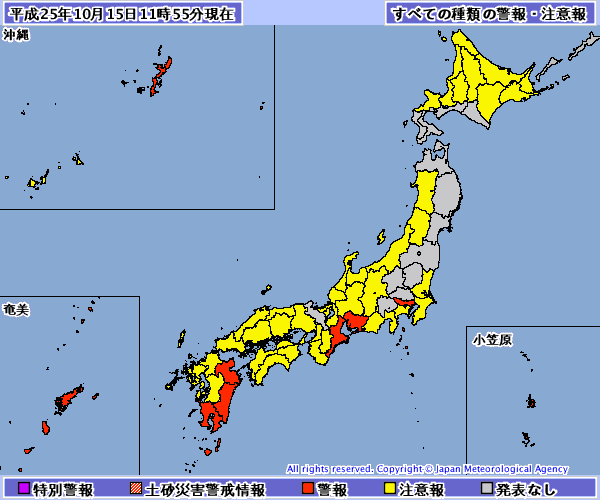 Here is a recent meteorological map of Japan. The yellow areas are under a “typhoon advisory” and the orange areas are under a more serious “typhoon warning“. Tokyo, on this map, is colored orange. There’s a 台風 (typhoon) near Tokyo now. 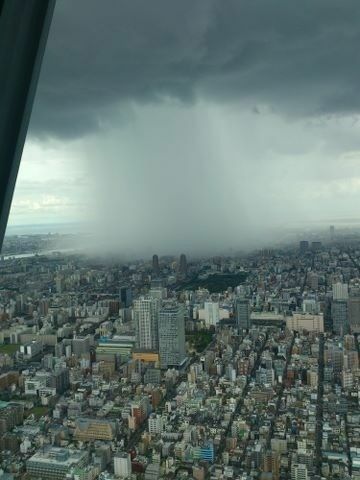 It’s been raining in Tokyo since yesterday…and it’s forecast to rain until Friday. The TV weather information said that the typhoon will hit Tokyo the day after tomorrow (Thursday). So the rain and wind will be really strong on that day. If you’re in the Tokyo area, be careful if you have to go out this week…especially Thursday! The good news is that’s it’s forecast to be sunny from Saturday…so it’ll be nice weather for the upcoming three-day-weekend (Monday’s a holiday (体育の日 (Health Day))).